Hi there! I hope everyone here in the US had a great Thanksgiving holiday. 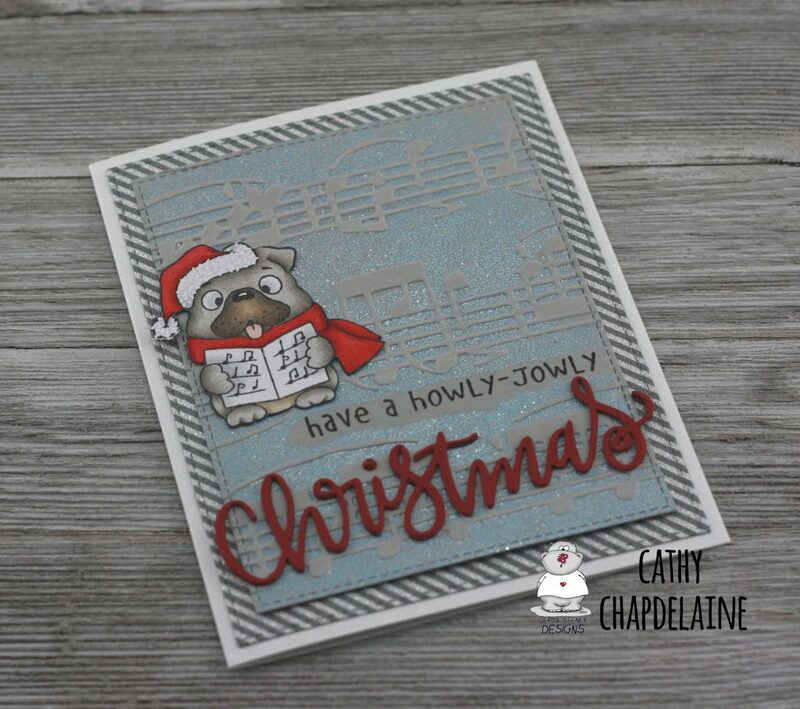 I was busy visiting with family and completely forgot to share this card last week that I designed for Gerda Steiner Designs using the new Carol Puppies stamp set. This little dog is my favorite from the set. Totally reminds me of my Frenchie! 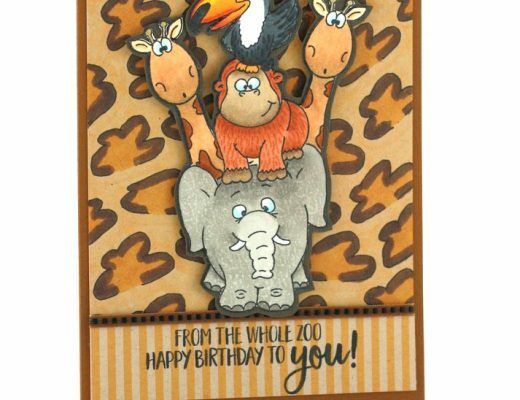 I double embossed the background by inking the inside of a Cuttlebug music notes embossing folder with Versamark ink, running it through the machine and then heat embossing the piece with Wow! Iced Silver embossing powder. It’s got a really nice sparkle to it. 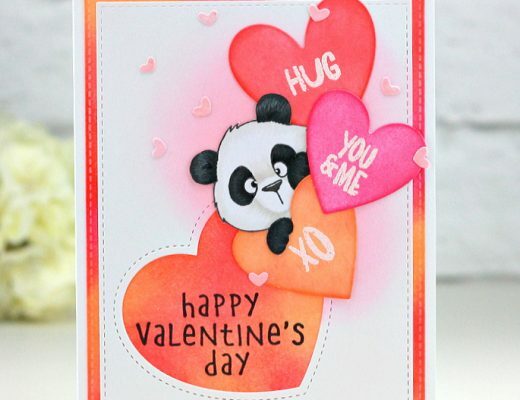 Before I heat embossed, I brushed off an area of the embossing powder with a small paintbrush to leave an area for the stamped sentiment. I die-cut the Christmas sentiment three times using the Pretty Pink Posh Merry Christmas script die and layered them together for extra dimension. I used a red flat-back pearl for the dot on the “i” as it was much easier than trying to layer 3 tiny little dots together and I liked it a little larger. I colored the pup with Copics and fussy cut around him, but there are coordinating dies to this stamp set also available. Hope you enjoyed and I’ll be back tomorrow with another new Christmas card.